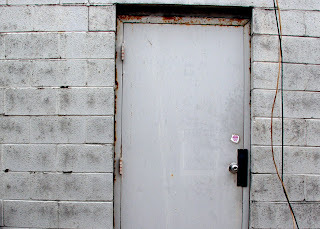 The very first blog I ever read was Kara Lennox's Diary of a Mad Romance Writer. I met her through a writers group and was captivated not only by her decision to become a writer full-time but the way she changed her life and the commitment it took to get there. Plus, she lived in Robin-the-Artist and Rhonda-of-the-Comic-Strip-Pantyhose's neighborhood and wrote about all of the streets, interesting shops and restaurants I was familiar with. Daily photos sealed the deal and since this was in the days before RSS feeds, I would visit the site and catch up whenever I remembered I'd missed. Next came Man of Will--the first time I'd ever read a blog of someone I actually knew. Will--an animator--played on John's softball team. The blog shared honest struggles of balancing conflicting dreams of career and family. And more than that, it made me really like Will. After all, I didn't know him. Not really. But through his writing, somehow I did. And then somewhere along the line, blogs exploded. Google searches turned up useful information simply documented in people's anectdotes...like the rules to card games, or recipes, or how to fix something around the house. The ones I stuck with--the ones I started tracking when I discovered RSS--gave me snapshots into people's lives that are living a totally different life than I am. It is fascinating to read about daily experiences I'll never have, like being a mother to six children and an army wife or being a full-time stamp artist or a worship leader living life amazed by God's work in the real world or a working mom living in South Africa. And the more I've read, the more beautiful to me that the major themes--the human ones--are all the same. And for all of the "professional" blogs I read--the ones by the writers and the gurus and the technology-geeks--my favorites continue to be the "personal" ones. Writing created for no particular audience at all. The ones that give you a glimpse into the life and struggles of the writer. Where just for a moment you get to share someone else's uncertanty, humanity or random joy and know that life everywhere is at least a little bit the same. So blog on fellow bloggers. Blog on! Growing up with dysgraphia I hated writing. I was so surprised to discover that I actually enjoy writing. Keep blogging. I enjoy reading your stuff. 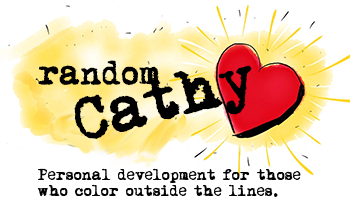 I love reading your blog, Cathy!! Someday I might even get my life simplified to do my own! !